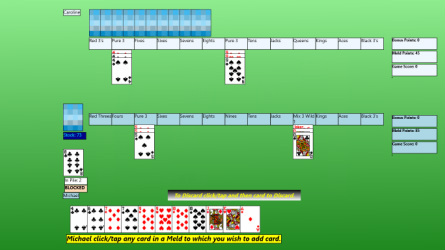 Click image of Canasta game in action and you will be taken to the Windows store to download and play free for 7 days. If you then want unlimited play you can buy from the store for a very reasonable fee and have free play forever. 500 Rummy game in action. Click image to be taken to Windows Store and download a free 7 day trial.